If you are not from a military background and want an offshore or SAR/EMS career please get behind this petition to bring back the co pilot instrument rating. If you are in a similar position to me, aiming for a multi IFR career and spent the thousands on completing IREX and ATPL(H) and now have very little hope for any career progression with the costly introduction of Part 61 and the subsequent removal of the Co Pilot IR, then please get behind this and see if we can instigate change for the sake of the industry. I arrived in Australia with an IR so never did the training here, can you tell me what the rough costs are for each version? Im not trying to stir I am asking a genuine question. I feel your pain Bla@ckers having provided some advice over the years to guys following in my tracks for an offshore job only to find the doors now essentially being closed off due to the prohibitive cost of the rating. Like many before me I started my offshore career with a company-issued Copilot Instrument Rating as there was no way I could afford the extra training. There are some great young people coming through the ranks however the significant impost of the training means most will not likely proceed to an IFR job. Very sad and unnecessary. And the military likely can’t provide a constant throughput of guys and with that said, even if they could, it is better to have a mix of guys from all walks of life. I’ve signed your petition and trust it gets you an audience with CASA. Good luck and don’t give up on whatever it is you wish you achieve. Another suggestion is putting the SE-IR on vetfee help. At at around only 35k it is a much more viable option. Our fixed wing brothers enjoy this option. I dont agree on a full commercial on vetfee, but additional ratings yes. The big companys can then upgrade you to multi when you go to sim. All they want is a pass on the instrument rating test (not just IREX). I have signed as this has really stalled a lot of careers. I’m curious as well to what the difference in cost was? Essentially it was meant to be ‘at no cost to the industry’ according to casa... does that include career progression haha. Good idea though blackers, I’ll sign it too. As like balibelly, it’s really taken the wind out of a few of our sails. I'm happy to sign as I'm always happy to have a crack at CASA for their incompetence but, I am a little concerned in the road it takes us down. The co-pilot instrument rating was unique to Australia and I'm not even sure that holding an IR actually opens that many doors for you. When I started at one of the offshore operators I was in a group of six and only two of us held an IR. It wasn't until day one of our induction that they even realised that I held one despite my telling them on multiple occasions and filling in the paperwork stating the same. The other issue that worries me about the whole thing is that in restoring the co-pilot IR are we not creating a pathway that is only open to those that can afford it regardless of ability. Equally going down the EU route and creating a system of self funding for ratings. Again making the multi IFR jobs only available to those that can self fund. If so that is no better than the thinking of those that are happy to work for free and screw the pooch for everyone else. Don't believe the hype that a SE-IFR rating will get you the job you're looking for as it most likely won't unless you're looking for a SE-IFR job. You'd more likely be throwing good money after bad. The multi IR pathway is struggling right now due to the O&G market being down in the bottom of a very deep low for what has been a long time. However, the tide will turn, O&G is starting to see an upturn and when it does those markets will be looking for the IREX/ATPL qualified pilot looking for an offshore career. My advice as an alternative to getting frustrated and fighting the system would be to get networking and be ready with your surfboard for the changing tide. If you get talking to people now and finding out who the decision makers are and getting (gently) in their ear, the chances are when they're looking and your name comes up, you will be remembered and a chance to sell your wares at the interview table will most likely be forthcoming. Without doubt, networking has borne more fruit for more careers than spending money ever has. ... My advice as an alternative to getting frustrated and fighting the system would be to get networking and be ready with your surfboard for the changing tide. If you get talking to people now and finding out who the decision makers are and getting (gently) in their ear, the chances are when they're looking and your name comes up, you will be remembered and a chance to sell your wares at the interview table will most likely be forthcoming. Without doubt, networking has borne more fruit for more careers than spending money ever has. Excellent advice, particularly the last sentence. Advice for newbies...read the last sentence about networking until it’s committed to memory. I used to call this the CAR 217 backdoor. Thanks to AFAP, training bonds etc are no longer possible so you now have to pay for it. There are pathways. HEX is not a bad thought for some. We have put through almost 45+ instructors who all get actual single pilot IFR experience with us as we currently do about 3000 IFR hours a year. Yes they have to pay for it as a pre-requisite to employment. Interestingly many of them are now working in offshore or SAR/EMS in the bigger helicopters and they would never have had that opportunity if they did not do some instructing with us. I would suggest you look at the various pathways that are available. I won't comment on the part 61 debacle except to say no cost to industry costs us over a million a year at the moment. Unfortunately the co-pilot will not come back , no matter how many petitions there are. It goes against ICAO standards and licence compliance. The best option suggested by mike is to see other pathways to get the rating. Peter Dutton announced this morning , he’s opening the doors for pilots from overseas to come to Australia for a short term visa. They will bring the skills required for the jobs. Mike Becker wrote: I won't comment on the part 61 debacle except to say no cost to industry costs us over a million a year at the moment. Send CASA FTTO an invoice. Just because it’s not ICAO doesn’t mean that we shouldn’t do it. Private IFR ratings (as far as I’m aware) are not ICAO either - but CASA kept them. I agree with Mike in that the training along the way post co-pilot IF (log-able) needs to be done by an instructor - but I disagree that it should disappear. My opinion is that the co-pilot IF rating should be used when operating two pilots in a single pilot IF Helicopter- and the command rating be used for co-pilots in multi-crew helicopters (typically transport category). 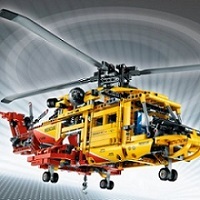 Consider that a Commercial Helicopter Pilot Licence in Australia costs a minimum of $80,000. In the USA, less than half, on the order of $20,000 USD. Find a stateside school that does a Commercial/Instrument Rating course in an FAA Approved IFR Certified helicopter or ATPL and and Instrument Rating in an FAA Approved IFR Certified helicopter, return to Australia and convert to a CASA licence. Just document everything, logbook signatures, training record copies etc. CASA will still allow a conversion of a foreign licence, regardless what they do to Part 61. If you already have a Commercial Pilot Licence or a VFR ATPL for Helicopter, it would not be too expensive to get a Commercial Pilot Licence Aeroplane, learn to fly in a Cessna 172S (a very stable learning platform), not too expensive to operate, then once you have earned your "plank wing" Commercial Pilot Licence, go after an Instrument Rating in an Aeroplane . . . then find a Single Engine fully IFR CASA certified helicopter that is used for training -and available (availability is usually the biggest hurdle) . . .
You could do a Multi-engine Aeroplane Course, in a Beechcraft Duchess or a Baron, then get your Instrument Rating, then do it in a helicopter . . . Some of your training you could do in a CASA Approved Flight Simulator, for either your Aeroplane or Helicopter Instrument Rating. The last thing you should spend money on is an Instructor Rating. Getting an Instructor Rating can be a nothing money than a black hole for money that you should have spent toward an Instrument Rating and a trap. All it would take is a training accident to ruin the rest of your career or if your student has an accident, you could be held liable. Further, it is a disservice to your student to merely be building flying hours at his/her expense, in fact teaching him/her nothing. So, do that after you actually have enough experience in a wide variety of flying operations to actually teach somebody something. There are ways to achieve your goal . . . And, probably still cheaper than trying to fund a helicopter-only multi-engine Instrument Rating. Perhaps some here might gasp at the thought of doing an Instrument Rating in the USA and then converting . . . Flying an ILS Approach into Sydney is the same as flying an ILS approach into LAX, except LAX is busier, much busier. Many here, in Australia, protested against CASA changing the Regulations to resemble anything like the FAA, but I believe you are beginning to regret that, because the FAA Regulations are very simple and straight forward, the way they are written and origanised AND, the FAA allows a pilot to do a heck of a lot more than CASA. Once, you earn a Commercial Pilot Licence, under the FAA, it is a licence to earn and learn. The FAA does micro-manage and require an Endorsement to blow your nose and another Endorsement to wipe your bum. It IS the requirement by CASA for you to have an Endorsement in every nit noy that is holding most of you back, in you careers -AND, it is no safer than the way the FAA does it. If you wanted to truly protest against a system or get a petition going, then the Endorsement to a Pilot Licence should be eliminated. If over 5,700 kg or a jet or a unique aircraft like a P-51 Mustang, yeah, an Endorsement or "Type Rating" should be required, but all the complete and utter nonsense to require an Endorsement for each and every aspect of flying that is not Straight and Level is crippling the Aviation Industry in Australia. Who can afford to fly in Australia? Rich kids. Guys who have done their bit in the ADF. Why should a Commercial Pilot Licence for Rotorcraft-Helicopter cost $80,000 in Australia versus $20,000 to $30,000 that it does in the USA . . . AND, many things can be had for free in the USA, like an Instrument Renewal. A Class 1 Medical for an over 60 in Australia costs over $1,000 and is valid for 6 months, while the same Class 1 Medical for an over 60 in the USA costs not more than $150 and valid for 12 months. Why should a Nikon D3x camera cost $13,000 from an Australian retailer, yet the same camera can be had for less than $5,000 AU, including GST and Customs Excise, coming from a USA retailer. The fact is you are being ripped off, here. For everything! Want to protest or petition against something? Protest or petition against being ripped off, paying nearly 10 times as much for a Medical, against the C.A.S.A. Endorsement system designed to throw obstacle into your path of career progression. Lastly, suppose you have a Co-pilot Instrument Rating, and you are flying some sophisticated Multi-engine helicopter, with 15 passengers in the back and the Pilot-in-Command suddenly becomes incapacitated, would you be able to handle that scenario. Unless you are flying every other leg at Night or IFR, doing everything the Aircraft Captain would normally do (Pilot Flying vs. Pilot Monitoring), plus get regular Full Motion Simulator training an assessment, minimum every 12 months, then there is a chance that you may not be able to safely handle that situation. So, there is one argument to do away with the Co-pilot Instrument Rating. The Captain or Pilot-in-Command is often much more experienced and has more training and standing in the company . . . Not always, but as a general rule. I am fully aware their are some outstanding Co-pilots and First Officers, often they are very experienced pilots or former Captains with a different employer or from the military. I know this is the 21st century, but there have been Captains who treat Co-pilots/First Officers like redheaded step children, like a fifth wheel, like a seat warmer, so the Co gets very little experience, if paired with surly, arrogant Captain/Aircraft Commander/Pilot-in-Command. Certainly training bonds are included in the AFAP negotiated EBA of at least one of the “big players”. Pro rata, and “reasonable” (compared to the actual cost, rather than “commercial value”) and only applying to new employees. There are, at least three sides to every story. -There are advantages to maintaining employees by the carrot, rather than the stick method. -Not many employers would like someone flying their helicopter only because if they left they would be required to pay a training bond. -Unscrupulous employers might set a bond at commercial rates, including commercial profits, and “encourage” (deliberately or otherwise) employees to leave, soon after training. I’m not sure how much “no co-pilot IR” actually affects people getting a ME IFR job. Any employer looking for an FO, would first choose someone with a current rating, second an expired rating. If no rating was held, then training would be provided, usually in a level D SIM. The difference in training required to meet company standards and a Co-pilot rating, compared to a CIR is not a lot. I'm not an IFR pilot but What Flyhuey says makes sense to me regarding the capability of a co-pilot if the Captain becomes incapacitated, & as Skypig said there's 3 sides to every story so it raises the question in my mind of what is the Oil & gas companies perspective of why a co-pilot is required? A co-pilot thinks he is absolutely necessary for the safe operation of the aircraft & therefore the company should pay to train him, maybe the Oil & gas company only agrees to have him in the seat ( & therefore the invoice) because "CASA said so" & they see him as expensive ballast? I'm sure a current offshore captain could enlighten me as to whether or not they could fly out to a rig & back in s#!t weather on their own, or do they absolutely need a copilot? If redundancy of flight crew is the reason that having a copilot is mandated then surely the co-pilot should be trained to a minimum standard to perform that function on his/her own (open to feedback from those who actually do it & know the answer). I thought the requirement for the co-pilot was based on number of bums in seats & was to have the resources available for emergency evacuation etc. not redundancy of flight crew? Google search quote - "Australian LNG operator Woodside reported a 49 percent rise in its half-year profit year-on-year reaching $507 million for the period under review". There is money available for training but there is a never ending race to the bottom on cost/barrel. It's not the pilots who will decide how that race is run, it's the bean counters. The golden rule is "He who has the gold makes the rules". The race to the bottom is the same in mustering, Ag, production longline, tourism, training, fire contracts etc......... In all of these sectors of the industry there are some operators who train people & there are some operators who don't, I guess it's the same in the O&G world? If an operator does train someone I think it's only fair that a minimum service period is applied to allow the operator to gain commercial advantage from the training, they are not a free injecting room for those of us who are addicted to flight. The risk is that it presents the opportunity for the operator to treat people in a less than professional manner in the knowledge the pilot can't afford to leave, financial slavery. I've been flying for 21 years & the only training I didn't pay for was a NVFR so I feel the pain, I'd love an IR but I have to choose between that or my daughters education, that's my place in this game of thrones. I've presented nothing but more questions here rather than answers because I don't know the answer, but if you want it changed become an oil executive & drive the change from the top, pushing s@$t uphill just gets you covered in s@$t. Maybe the offshore doesn't want to pay anymore. If I may take one more bite at this apple . . .
1) I have never once seen a job ad for Co-pilot Instrument experience or Co-pilot Instrument Rating. 2) If an aircraft is certified either by the manufacturer or by the Regulator, as a Two Pilot or Multi-crew aircraft, then there would be a Captain, designated as Pilot-in-Command, by the company and First Officer/Co-pilot . . . And, this is different from Pilot Flying versus Pilot Monitoring or Pilot Not Flying. It is not unusual to have two Captains flying together or two company Instructors/Check Airmen, but the company will always (or should) designate which one is Piot-in-Command for a particular segment. 3) There are many, many, maybe the majority of aircraft that are certified as Single Pilot, like a Piper Navajo PA31-350 or a Cessna Citation 500, but some Charter Operator might assign two pilots. Oftentimes, those operators fail to designate who the Pilot-in-Command is, which is a mistake. which often leaves it to the senior pilot who signs the Flight Plan and fills out the Aircraft Logbooks. The issue becomes the pilot occupying the seat, not occupied by the Captain/Pilot-in-Command . . . let's say the Right Hand Seat, in the case of the aforementioned Single Pilot aircraft, wants/expects his/her turn to fly, say on the way back, to "build time" or Pilot-in-Command experience, BUT as it is certified as a Single Pilot aircraft and the time builder is not the Pilot-in-Command, has not signed the Flight Plan, is not the one filling out the Aircraft Logbook, then that time he/she is building is worth nothing, except the thrill of manipulating the controls. That time manipulating the controls, in that situation cannot even be legally logged. 4) Back in the 80s and 90s, working for two different employers, I went for training on a particular multi-crew aircraft of one Type . . . the Captain and I did exactly the same training. We had even swapped seats in the Flight Simulator, but he was an old-timer with the company and the company paid for his Type Rating . . . though we sat in the same Ground School classes, took the same written exams, took the same assessment in the Simulator. About seven years later, same scenario, with a different employer, for a much larger aircraft, same exact training, swapping seats, written exams, and all. The senior guy got Type Rated. That is life. It is their ball and game. I can say for a fact, I have been offered flying jobs/contracts, for multi-crew aircraft, both as Captain and as First Officer, without a current Instrument Rating or even a Pilot Licence for that country . . . Supply versus Demand. Right Palace at the Right Time. One job/contract, I was offered, my First Officer/Co-pilot wanted invited me to go out for a beer and meet his friend an Irish Captain, for a different company, after our long day of flying. The Irish Captain invited me to go to his company to show me around. He introduced me to the Assistant Chief Pilot who offered me his blazer and invited me to interview the next day, before my return trip. I am trying to say I did not even have a pilot licence for that country and I was offered a job. I accepted. They told me to come back, when I have 500 hours as Captain. Their minimum was 1,000 hours, but changed the rule to hire me. They paid for everything, all training and my licence, including a First Class seat to start the job. This IS how the Aviation Industry works, when they want you bad enough. That is not the only instance of this happening to me. Be careful what you wish for as the minimums might be just as stringent as the instrument rating. It could be that the flight test for the CP IR might be less intense. Gone are the days of just having to pass a flight test to get the CP IR. There should be dedicated IF training prior to an instrument rating no matter what grade it is.